Hotelbeds and India-based OYO Hotels & Homes have signed a strategic global distribution partnership. The agreement represents OYO's first distribution partnership with a bedbank. 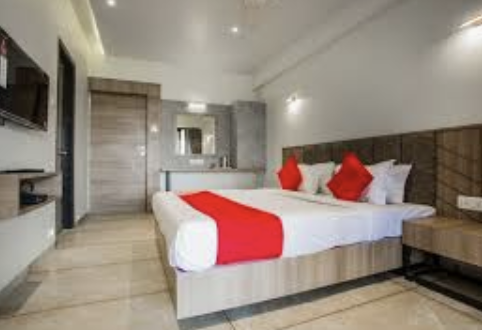 It means Hotelbeds' clients will have access to OYO's 18,000-plus franchised and leased hotels and over 10,000 homes and villas, across India, China, Malaysia, Nepal, the UK, UAE, Indonesia, the Philippines, Kingdom of Saudi Arabia, and Japan. Mark Redmond, head of global chains at Hotelbeds, said: "OYO Hotels & Homes is one of the most talked about hotel brands currently and is massively shaking up the entire sector. So, we at Hotelbeds are very pleased to be the first travel distributor given the privilege to work with them. "As the largest budget hotel chain, it represents a new offering for our 60,000 plus travel buying clients using our platform, such as travel agents and tour operators - meaning our distribution channel sits perfectly with their needs. "Whilst they currently have an impressive 515,000 rooms, they're set to increase up to 1 million by the end of the year and we're looking forward to helping them find incremental and higher-yielding bookings for many of those rooms".